McGraw-Hill Education Tab, 9780071761574, 472pp. Written by renewable energy experts, this hands-on resource provides the technical information and easy-to-follow instructions you need to harness the wind and generate clean, safe, and reliable energy for on-site use. 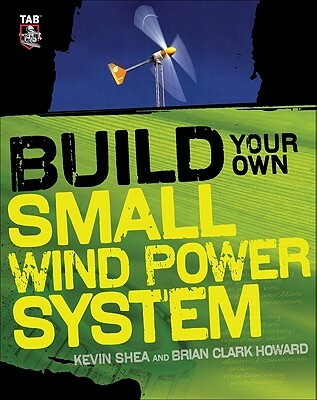 Build Your Own Small Wind Power System shows you how to install a grid-connected or off-grid residential-scale setup. Get tips for evaluating your site for wind power potential, obtaining permits, financing your project, selecting components, and assembling and maintaining your system. Pictures, diagrams, charts, and graphs illustrate each step along the way. You'll also find out how you can help promote wind-friendly public policies locally. Save money and reduce your carbon footprint with help from this practical guide. Kevin Shea founded and operates RE Power, Inc., a small-scale biodiesel manufacturing plant. He also designed and built the Long Island Green Dome--the nation's largest and first LEED-qualified, Energy Star residential geodesic dome home made of renewable and reused material, and equipped with a 10k solar array, a 1.9kw wind turbine, and a geothermal system. Brian Clark Howard is an award-winning environmental journalist with a decade of experience producing and managing top-notch content for websites, magazines, books, newsletters, blogs and more. He spent three years as web editor for The Daily Green and five years as managing editor of E/The Environmental Magazine (the U.S.'s oldest, largest independent environmental magazine). Brian is the coauthor of four books on environmental topics, including Green Lighting and Geothermal HVAC.